Dragons are possibly the most popular creatures of legends and, for centuries the Chinese dragons have symbolised power and mystery, making the Chinese dragon tattoo one of the most popular designs ever requested. In legends, myths and folklore from all corners of the globe, dragons have struck fear in the heart of the bravest warrior, but they are also creatures of respect and worship. Although in medieval Europe, the dragon was a ferocious blood-thirsty giant, breathing fire and malice on the terrified mortals, in Asia, this mythical beast has been long-celebrated for its benevolence, intelligence and kindness. The Chinese dragon is a symbol of identity for Far Eastern cultures. 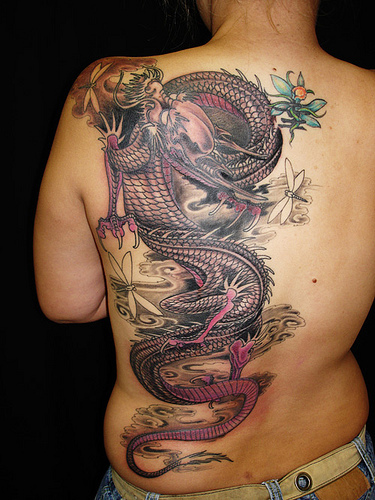 The different perceptions of dragons can be seen in their depictions in artwork and tattoos. 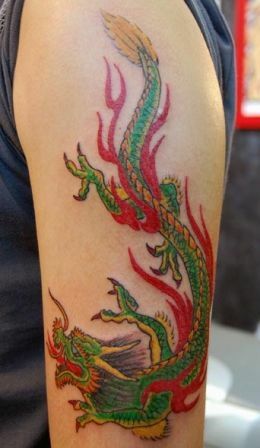 The Chinese dragon tattoo is quite different to western and Japanese dragon designs not least because of its colour. Whilst Japanese favour red dragons, the Chinese prefer green and the design usually contains more detail reflecting its oriental origins. 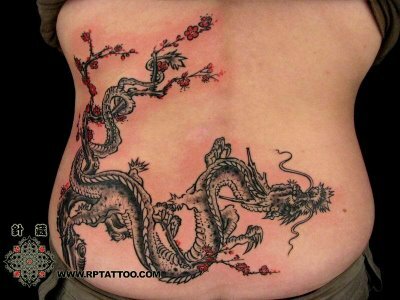 Western tattoos might depict their ideas about dragons being terrifying, destructive creatures and the enemy of all men, but the Chinese dragon will depict the opposite, reflecting their belief in the dragon as the bringer of luck and wealth. 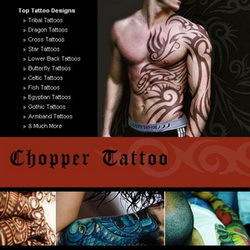 For those who love tattoos, the Chinese dragon tattoo must be the one to start with. The best thing about them is that they can be as detailed and intricate as you like and their body shape can be customised to suite your own preferences. 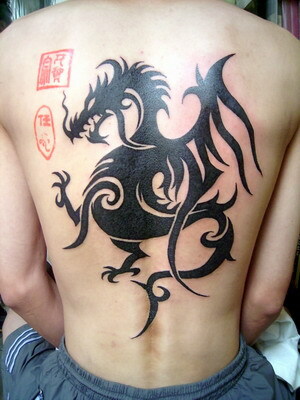 What follows are some simple steps on drawing your favourite Chinese dragon tattoo. To start creating your dragon, begin with the face. There are many patterns available to help you choose the ideal face for your dragon and, once you have selected the outline of preference, you can concentrate on the eyes, which should be almond-shaped. If you wish, you can add further details until you are satisfied with your design. Next you will need to create the body. According to Chinese mythology, dragons have a long, scaled, serpentine body. Create this shape by drawing two fluidly snaking lines, measuring the width according to your preference. After the body, it is time to create the wings. From the back of the dragon, draw a single line, curving upwards and outwards, like an open umbrella, to create the wing shape. Repeat this to form the second wing and then fill in your desired details in both wings. All your dragon needs now are limbs and a tail. To create each arm, draw two lines with a bend to represent the elbow. Do the same with the legs to create a bend at the knee. The legs should be semi-circular with claws on the feet. Finally, to create the tail, add a triangle at the tip of the body before drawing a loopy swirl, as if the dragon is whipping its tail . Add the finishing touches, such as scales, and remember to use bright colours and blur your lines to make it softer and more attractive. Now you have your Chinese dragon tattoo and all that is to be hoped is that it will fulfil its promise and bring you luck and wealth in years to come.